I finally learned how to operate my leased server space to provide downloads for the poc community. RapidShare is yesterday. I start with a small package of ports I created up to now and which are probably not yet published at other homepages. Each port is a zip-file containing the port discription (xml), the map (google earth png's), and harbour views (captain's window - harbie0..jpg). Nos. 12 and 15 are lacking the harbour views. If anybody took photographs there and is willing to place them at disposal I would like to include them. Just unzip the files into the user_addons folder e.g. Endlich habe ich gelernt, auf meinem geleasten Server downloads für die poc Gemeinde anbieten zu können. RapidShare ist Vergangenheit. Ich beginne mit einem kleinen Paket von Häfen, die ich bis jetzt gebaut habe und die vermutlich noch auf keiner anderen Homepage veröffentlicht wurden. Jeder Hafen ist eine zip-Datei, welche die Hafenbeschreibung (xml), die Karte (google map png's) und Hafenansichten (Kapitänsfenster - harbie0..jpg) enthält. 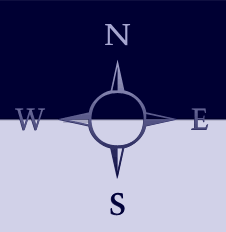 Zu Nr. 12 und 15 gibt es keine Hafenansichten. Falls jemand dort fotografiert hat und die Bilder zur Verfügung stellen möchte, würde ich diese gerne einarbeiten. Die Dateien werden einfach in das user_addons Verzeichnis entpackt, z.B. Thank god... I you need more only space let me know. I can stock/host files for you or other POC users. I’ve noticed that the zip file also contains some redrawn vessel like the Zim Canada. The parameters for this vessel and others are changed. Price and bunker capacities are changed, tricky info. Can we trust that these parameters are as realistic as possible. In other words, can we ditch the old xml info for the new one and assume that these are more correct. thanks for your offer but I get along quite well for the moment. I know that it is sometimes quite confusing to sort all ports in the proper position, but it's nice to try and learn. And as long as there are still important ports in the world which cannot be called at with poc I am eager to fill the gaps. 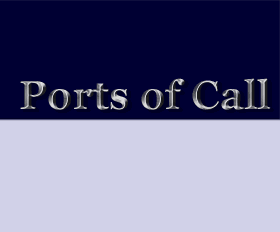 The next issue of ports will follow. Another 30 ports for the game. They are also included in my last user_addons_V493.zip. All ports have been done by whoeftmann, I added some pictures. Unzip the downloaded file into the user addons folder harbors e.g. 30 neue Häfen zum Spiel. Diese Häfen sind auch in meinem letzen user_addons_V493.zip enthalten. Alle Häfen wurden von whoeftmann gebaut, ich habe Bilder dazugefügt. Dieser zip enthält folgende Häfen .... s. o. Another 3 ports for the game. They are also included in my last user_addons_V493.zip. All ports have been done by stpaddy. 3 neue Häfen zum Spiel. Diese Häfen sind auch in meinem letzen user_addons_V493.zip enthalten. Alle Häfen wurden von Stpaddy gebaut. Here is a complete collection of the user made goods which I use in my ports. I gathered them from several sources (internet and poc forum). I remember downloading cargoes from Zootier's, Stickymonk's and BigBear's homepage, some in German, others in English language. I don't recall the poc members in the forum who allocated freights, sorry. And there are still cargoes availabel on the hompages which are not included here because I did not find any port using them. Download link for the goods see next post. Hier ist eine vollständige Sammlung aller Frachten, die ich in meinen Häfen verwende. Ich habe sie aus verschiedenen Quellen gesammelt (Internet und poc Forum). Ich erinnere downloads von Zootier's, Stickymonk's and BigBear's homepage, einige in deutscher, andere in englischer Sprache. Ich weiß leider nicht mehr, wer von den poc Mitgliedern Frachten zur Verfügung gestellt hat. Und es gibt immer noch Frachten auf den homepages, die nicht in der Sammlung enthalten sind, weil ich keinen Hafen kenne, der sie anbietet. Download link für die Frachtensammlung siehe nächsten Beitrag. Unzip the file into the user_addons goods folder 'goods' e.g. xml- and png-files go all into the same folder. Entpacke die Datei in das user_addons Verzeichnis 'goods', z.B. xml- und png-Dateien gehören alle in dasselbe Verzeichnis. Posted: Sun Oct 11, 2009 1:05 pm Post subject: Want to download user_addons_V493.zip. Is it possible to download user_addons_V493.zip anywhere? Good jobs on the add-ons. Think you could add on Vladivostok, Russia? Quick facts for it is main exports being fish, lumber/wood products, metals, and imports being food producs, medical products, textiles, automobiles, electrical appliances. I'd make it myself but really don't know how at the moment and am short on time (haven't even played the game in a while). Thanks, and keep the add-ons coming! Vladivostok is in the game. It's on the Big Bear's site, an older construction, goods are all in German language and should be translated to English. Greetings from Lübeck and to Sparky ! Thanks for Vladivostok... In the end I made my own Vladivostok entry, as well as Trieste (I cannot believe that is not part of the original game), Rostov-on-Don and Odessa. More or less used suitable ports already made in the game for the map images (sadly, I cannot seem to get the port editor program to work in any useful manner... my complete lack of German kind of makes it a wee bit difficult).